The next quest unlocks a toddler hobby, In Da Clubhouse if you don’t have a toddler yet bake a birthday cake now as you will need a toddler to complete this quest! The next quest unlocks a toddler hobby, In Da Clubhouse if you don’t have a toddler yet bake a birthday cake now! 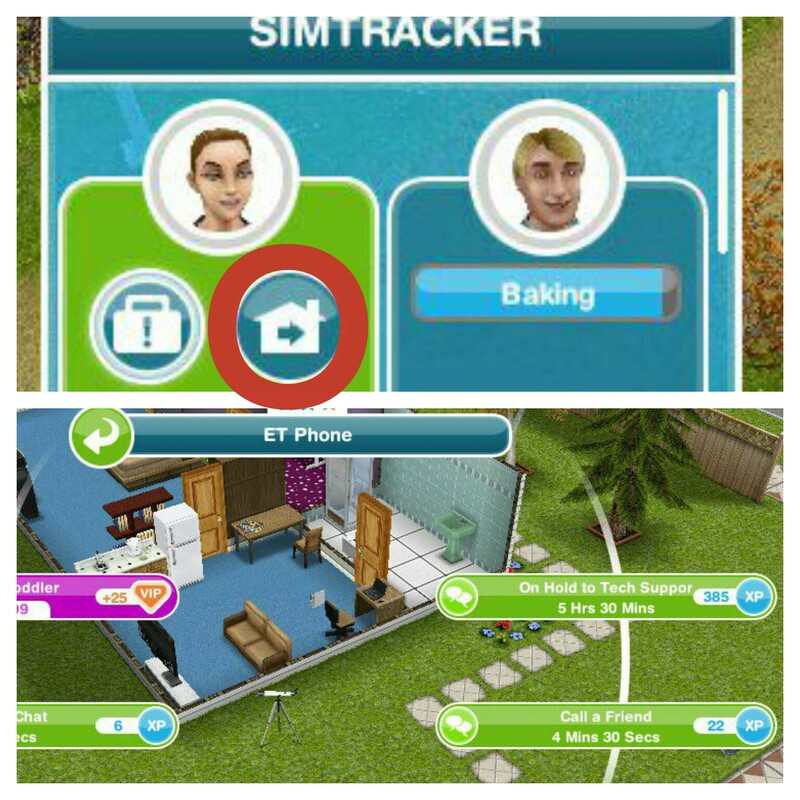 The tip with this method is to put the sim doing that action early in a different house that you cannot go to until you get that goal or it will not work. The timings of this quest has changed so updating here the same. thank you very much, I have updated this as the second version of this quest as I know some players are still getting the old version at the moment. First, your site is awesome and extremely helpful. Second, I have a question about what you’ve said at the end of this post. “PLEASE NOTE: if this quest doesn’t appear for you that is because your game is no longer compatible, EA have stopped updating it with the latest quests.” I’m confused as to what you mean by that. Are you saying if it doesn’t appear then we need to download an update or do you mean that EA has stopped releasing new updates for The Sims (and we’ve missed out)? I’ve gotten this quest so I’m OK, I’m just more concerned about the idea that EA might not do more updates. I played The Sims ages ago and there was never anything new so I gave up on it. Now that I’m back at it and it’s got tons of new (to me, at least) content, I’m really enjoying it again. Unfortunately I can’t tell you if they are going to stop updating other devices in the future but we can just hope that it won’t happen any time soon! In the part after reading pooping rainbows…I can’t get the prompt to talk about what they eat. Suggestions? 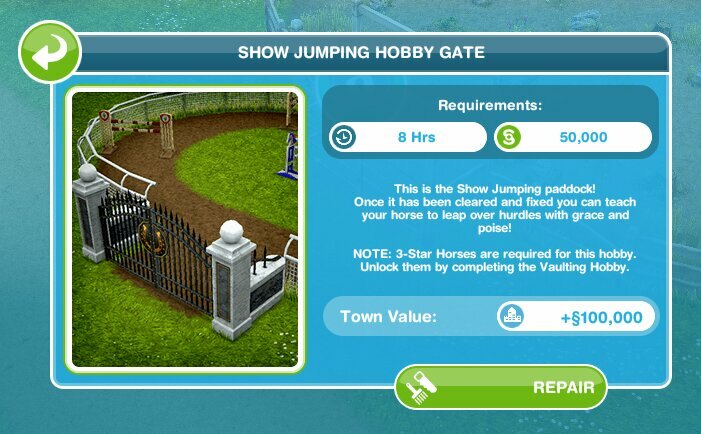 you can’t build the showjumping arena until you start this quest, you have either built the horse tricks arena or vaulting arena, the large oval one is the showjumping one. Guyssss how to bake rocky road ? Help me please . I can’t do it !!!!! Hi is it oky if im not gonna finish this quest on time? 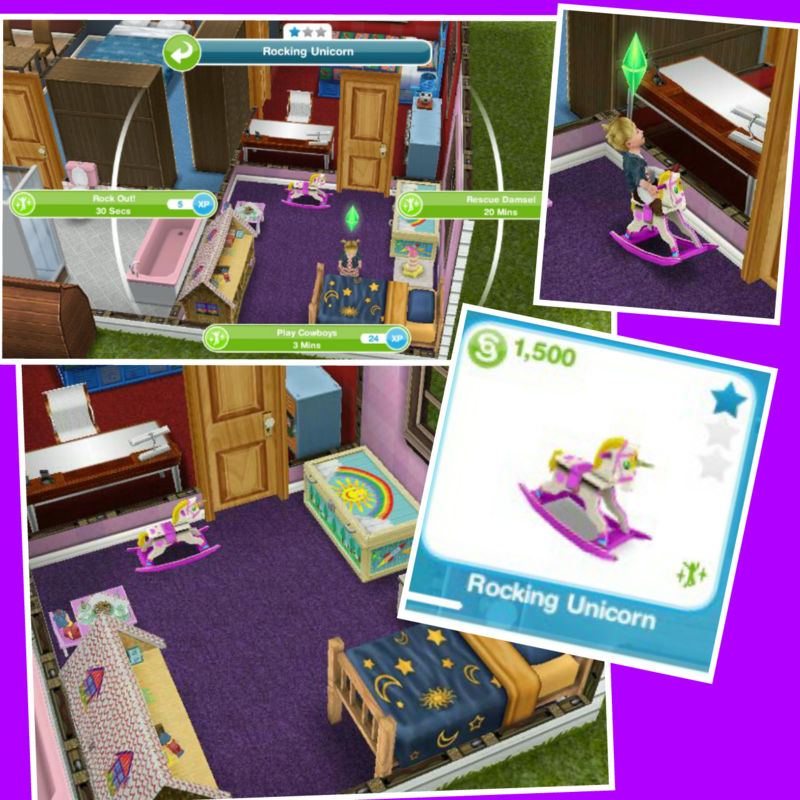 I dont think i like to get that rocking unicorn cause i can just buy it in the toddler store ..
Do you have a post on the sunset mall quest? Can I complete this quest even though I am passed level 14? Please add me! I need more Sims neighbors- twinmama3511. 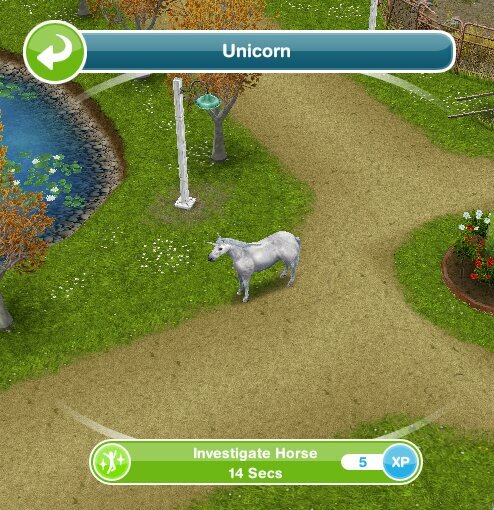 If you complete the showjumping hobby you unlock the unicorn so you can buy it and keep it in the stables with your other horses. Thanks, I’m glad it helps! Hi, I started this quest a couple days ago, and to day I forget abt this quest. 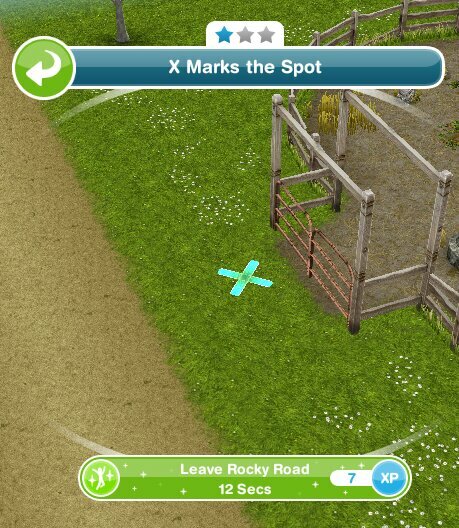 When I open the game, my sims was still cleaning the jumping gate venue.when I click the quest box (or something that has list of quest in the left) I can’t find this quest anymore. Am I finished? Or run out? 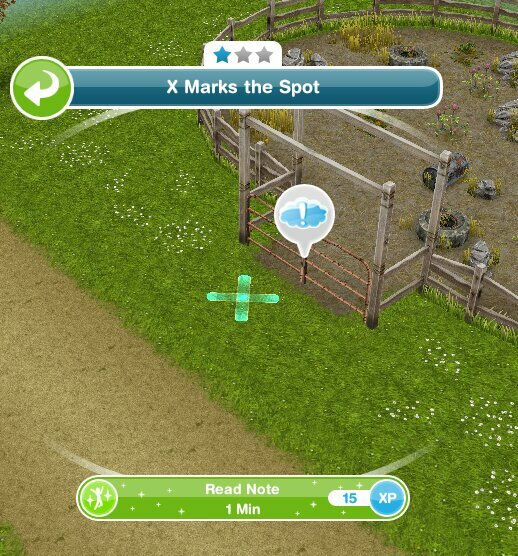 But my sims are still cleaning the jump gate venue. 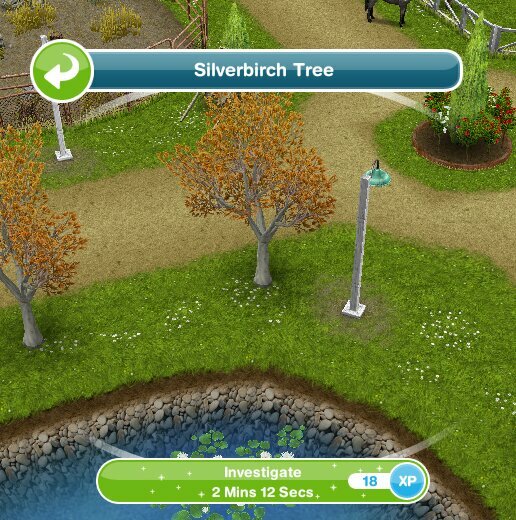 Help please, since this cleaning job is really take my sims time. Cleaning is not part of this quest, once you unlock it you finish the quest. Like it says in the post it costs S1500, it is not free. Hi. You help me a lot when I want to know what I need to do, how long each task in each quest takes in time and then I know how many LPs i need. Anyways, do you recommend any ways to complete quests quicker other than LPs. 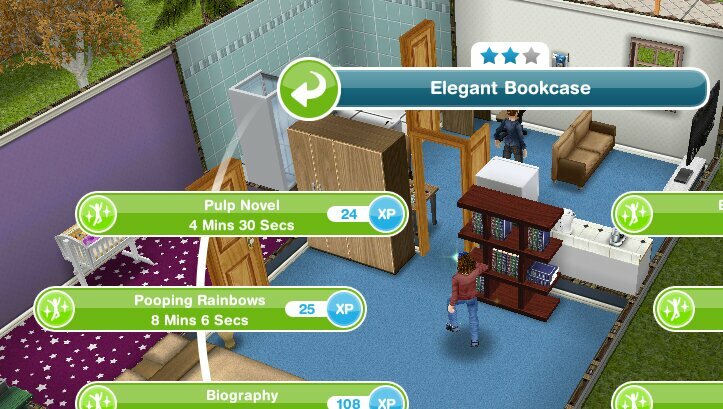 I’m really struggling on level 18 because the teens quest is 6 quests away and my next quest is in da clubhouse. 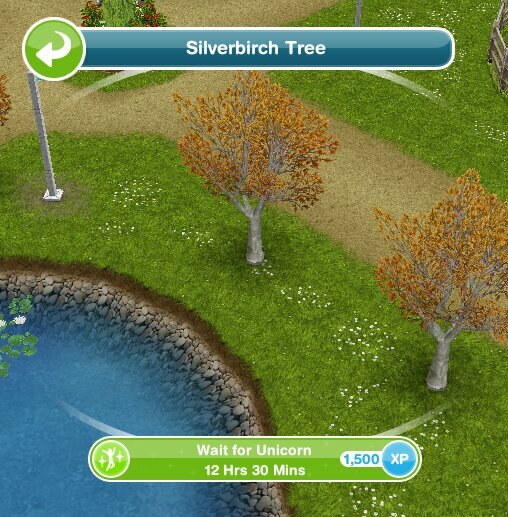 I’m really annoyed because I really want these quests to do but can’t get to them because of hobby quests which are main quests (like the unicorn one I’m on right now) which I’m not interested in. I’m only VIP 2 in case it’s anything to do with that. Sorry if you’ve already answered this, it’s just that I couldn’t find your website looking this up. I hope you can help me. Thanks, I’ve updated the post! Hi! 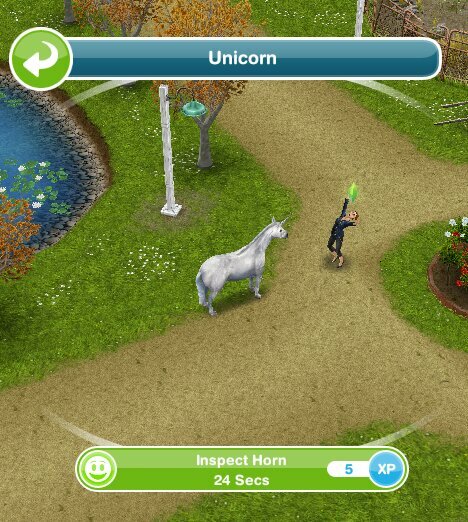 I have a little question, I am on lvl 20 and have the rocking unicorn, but I did not recall doing this quest at all, I never saw a unicorn at my stables and have no unlocked the show jumping hobby. Is this a glitch or is this a perk? 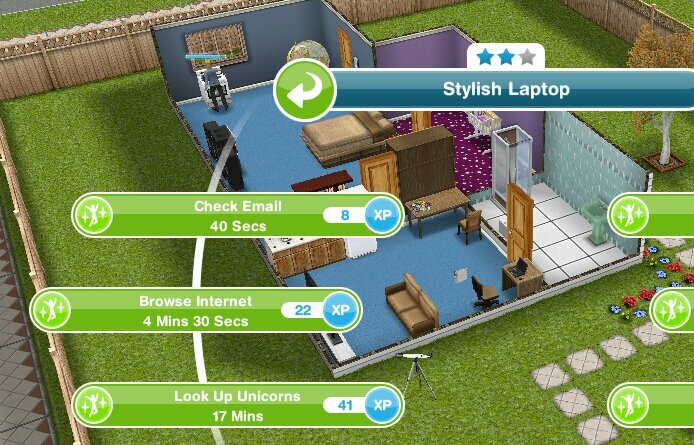 Btw your blog is super helpful and definitely helped me get 3 limited time prizes! Im at the very end of the mission where it tells me to fix the gate but i already did that & now it wont allow me to progress the mission? Once the gate has been repaired did you click on it to complete this?